Very confortable and efficient sanitary pads for menstrual care. These reusable sanitary towels organic are made from skin-friendly, organic cotton and are easy to handle. As the reusable sanitary towels can be used for many years, they help saving money and the environment. Every sanitary towel contains 2 extra absorbent liners which can be inserted when needed. The sanitary towels “”wings”” can be closed with a snap fastener – in that way a safe grip is guaranteed. 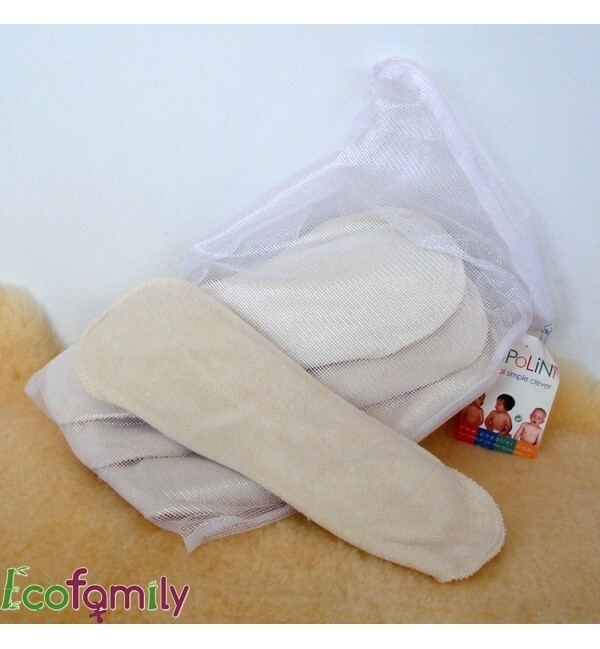 The reusable sanitary towels organic are available in five-packs in a practical mesh laundry bag.